Although she took a few non-credit courses in human resources and marketing/media relations at the University of Tennessee, Roland never earned a college degree. At 16, she got a job at an insurance agency on a recommendation from her high school business teacher. Upon graduation, she says, “I married the only person that I ever dated in high school and thought that was going to be my wonderful life with the white picket fence. The marriage ended (she later remarried) and the single mom worked her way up the corporate healthcare ladder for 22 years at what is now Critical Home Care Solutions, a home infusion company, where she focused primarily on human resources, training and development and employee retention. But Roland was feeling burnt out in her day job, so in 2010, when she was offered a newly created position as corporate director of training for Dolly Parton’s Dixie Stampede, she took it. Six months later, her employer pulled the plug on the program and laid her off. 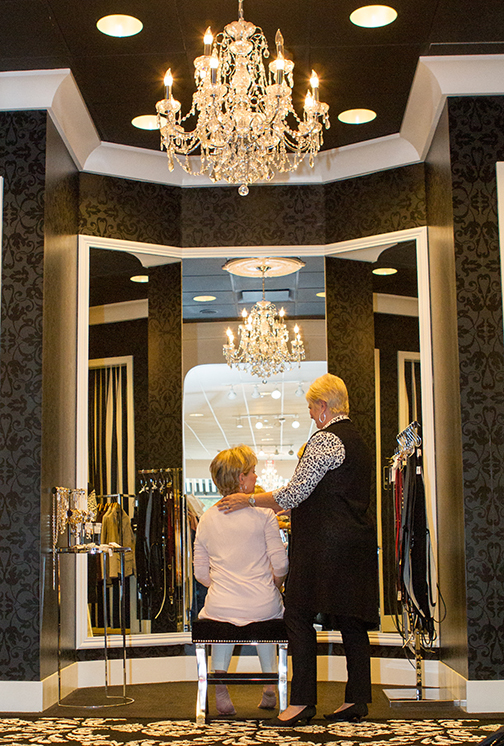 Donna Roland, speaker and stylist of Faithfully Fashionable, helps her client, Nancy, to pick out new clothes for her wardrobe to empower her and bring out her inner beauty. 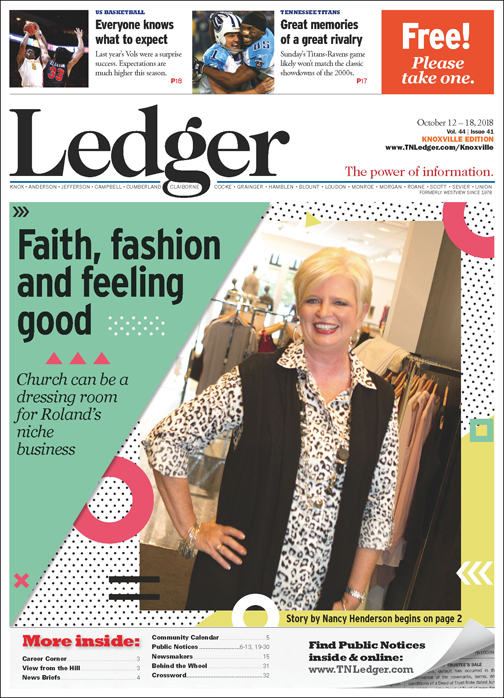 One day while reading a Christian magazine, Roland spotted an article by Shari Braendel, a Charlotte-based Christian image consultant and author of Good Girls Don’t Have to Dress Bad. In 2011, Roland officially formed her own consulting business, Faithfully Fashionable, which she rebranded last year. She now markets herself simply as “Donna Roland, speaker and stylist,” with services that include head-to-toe personal styling, girls’ night out parties, personal shopping, wardrobe assessment and closet organization. She also hosts Beauty Boot Camp makeover retreats each year with Braendel. “The thing that’s made me most successful is that I’m relatable to so many women,” she adds, noting that she’s seen her own share of setbacks and challenges. “I feel I have an ability to really understand and empathize with women where they are and to be able to encourage them. What a waste if I don’t share the things that have happened to me if that’s going to help someone else overcome something they may be going through. Making a good first impression is vital, she points out, especially in the business world. Roland defines her own classic style as “sweet and sassy Southern” kicked up a notch by accessories, jewelry and the purses she still can’t get enough of. Marketing, she admits, is not her forte, so she mostly relies on word of mouth to reach new clients. One thing frequently leads to another, she adds; often, after she speaks at an event, an audience member will schedule an appointment or a style party for a group of friends. Debbie Dowling, the foundation’s executive director, describes Roland as positive and gracious. Positioning herself as a Christian image consultant has nothing to do with being exclusive or preachy, Roland explains. “It doesn’t mean that I work just with Christians by any stretch of the imagination. I work with anybody who wants to work with me.